"hi, i was wondering if you could help me to do 3 individual caricatures. i've attached the photos of the 3 people here. if possible, could they all be drawn as doctors, with NUH (National University Hospital) in the background? i've also attached possible ideas (from Google!) for the caricatures for each of them: 1. 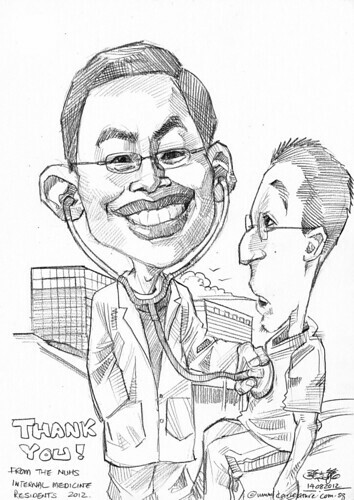 Khoo- a doctor listening to a patient's chest 2. 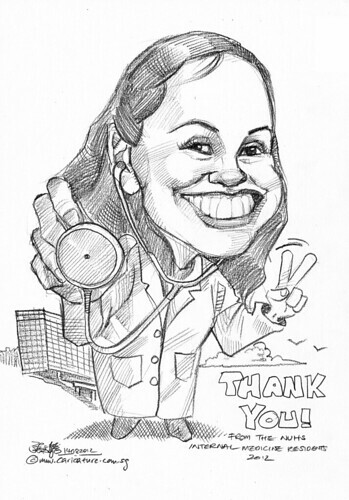 Manjari- a doctor with a large stethoscope 3. 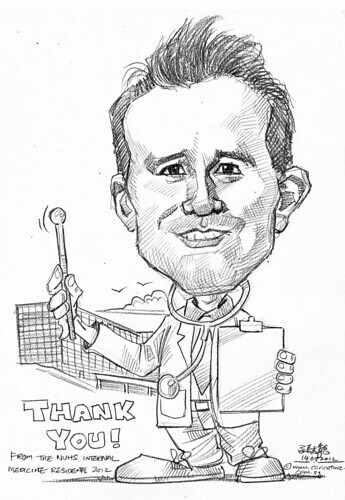 Dariusz- a doctor with a clipboard and thermometer/needle"
"Oh, cool!...Great! That really looks like them!" Very low res and small photos.